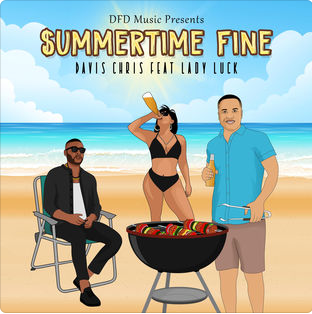 Houston artist Davis Chris and his team DFD Music have an anthem for summer 2018 with a little help from Lady Luck. "$ummertime Fine" is an energetic banger where Davis Chris taps into a vibe that is somewhere in the middle of Will Smith and Bruno Mars. It is clear that Davis has a lot of talent and his background in theatre, production, engineering, and songwriting that goes back to 2009. Davis has experienced success around the industry for a few years now but "$ummertime Fine" might just be the record that brings him his biggest moment to date. This record is just flat out fun, check it out below and look for Davis Chris to take over the summer.